Opened since 2013, the restaurant is no stranger to the James Beard Award and was even named one of (if not the) best restaurants by SF Chronicle’s Michael Bauer. But rewards and recognition aside, SHED has maintained it’s humble, home-grown feel even these, almost, four years later. SHED is a combination market place, cafe, and restaurant that truly personifies, what is now the cliché term, “farm-to-table.” Indeed, you not only can buy fresh produce from the venue, but the tools to grow your own. And if you’re more of an entertainer than a gardener, well SHED has a wealth of household items for cooking, serving, and gifting food as well. 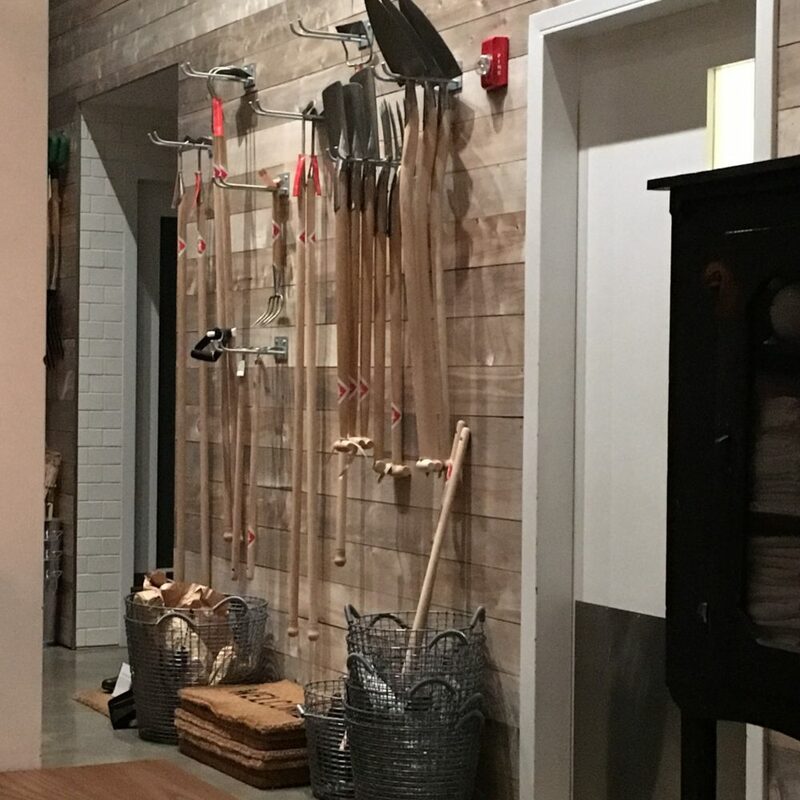 Gardening supplies hang on a wall alongside the main dining area. Although dining reservations aren’t needed, they’re strongly encouraged, as the dining area is quite small. You’ll sit at a long farm-style table on a stool and, on a busy night, may be sharing space with those not in your dining party. But this suits the mood and style of SHED — friendly, farmy, fun. 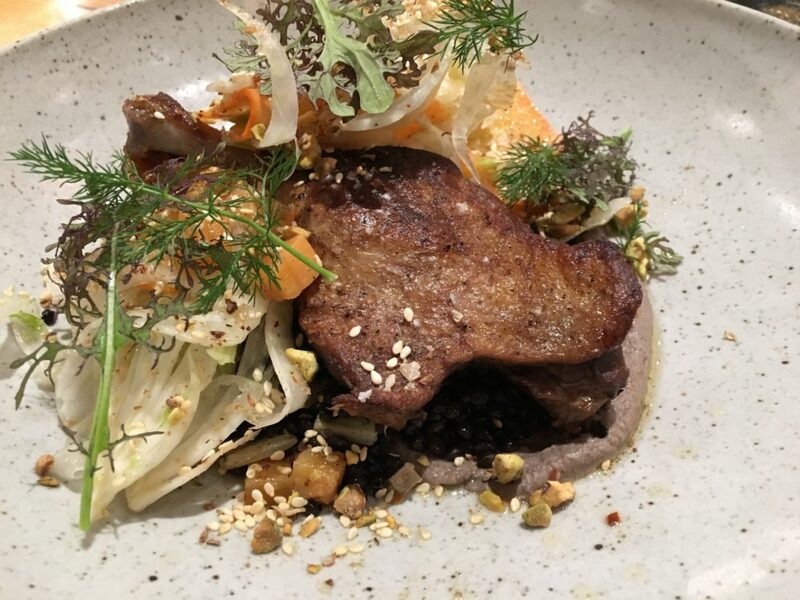 The menu changes daily, reflecting in-season produce and Chef Perry Hoffman’s ability to turn that produce into quintessential California cuisine. Although there is a prix-fixe menu available, the best option is to go å la carte, ordering a few different platters to share with your group — because at SHED you’re going to want to taste a little bit of everything Hoffman has to offer. On a recent visit, the Delicata Squash and Apple Salad ($15) was a personal favorite, featuring warm, roasted and charred squash; apple-pie like apples; fresh herb greens; toasted hazelnuts; and a delicate vinaigrette. The Liberty Farm Duck Leg ($29) had a beautiful crispy skin that melted in the mouth and, while the interior was a bit dry for my tasting, the accompaniments more than made up for it: the lentil hummas, fresh persimmons, and pistachio dukkah added both moisture and seasoning, rounding out the dish as a whole. 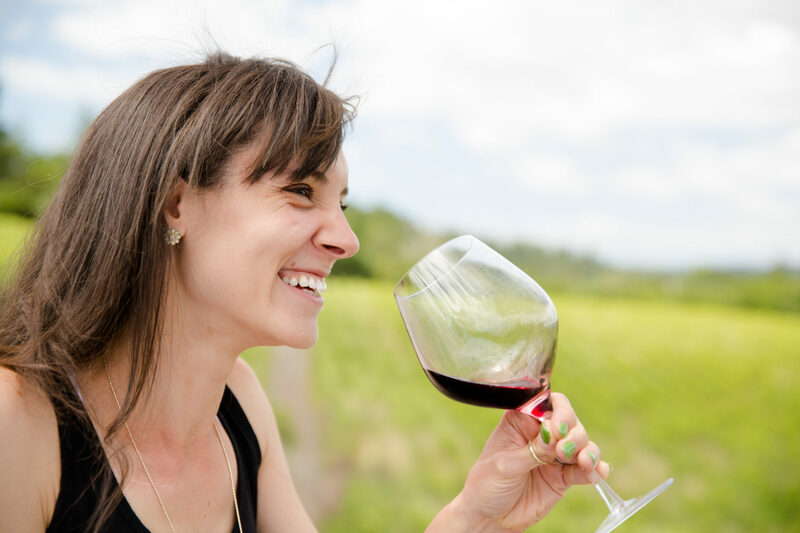 Of course being in wine country, SHED offers a full wine menu with wine by the glass served on tap. But most folks, believe it or not, don’t come here for the wine. No, at SHED it’s all about their fermentation bar featuring seasonal shrubs. But no matter what you eat or drink, there’s no denying that this is one of the only restaurants you’ll find that literally interprets the relationship between land and man. Eating at SHED isn’t just a meal out, it’s a chance to learn about California’s native produce, to experience the vivacity of our farmland, it’s a full-on culinary education. 25 North St.; (707) 431-7433. www.healdsburgshed.com. Open Wednesday-Monday 8 a.m.-9 p.m. Beer and wine. Reservations accepted at dinner. Main courses at dinner: $14-$25. BriscoeBites officially accepts samples as well as conducts on-site and online interviews. Want to have your wine, winery or restaurant featured? Please visit the Sample Policy page and then Contact Me directly. Cheers!